Anyone could receive a serious burn injury. We all understand how sore a small burn is. So we can start to understand the serious and painful nature of more severe burns. Early treatment of burn patients is pivotal to determining a successful outcome for each patient. 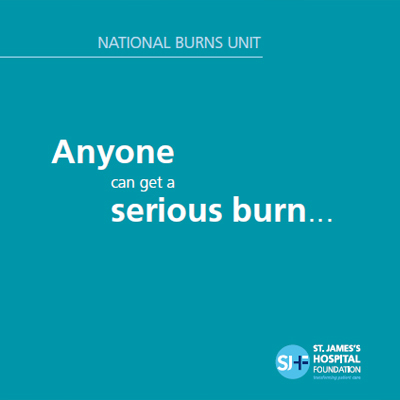 To address swift action in the care of burns, The National Burns Unit was established at St James’s Hospital in 1991 to cater for burn-injured patients from all over Ireland. The unit provides specialist multi-disciplinary care for the more than 200 severely burned patients who present each year. To address this need, the National Burns Unit facilitates direct admission to its 14 beds, restricted at all times for burn-injured patients. 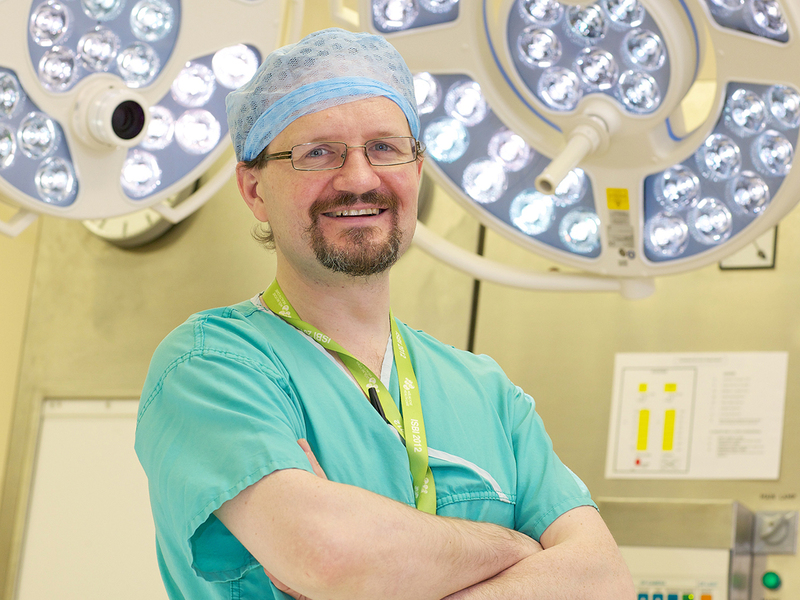 Our Burns Theatre is also restricted at all times for surgical procedures for burn injured patients. We continue to care for our patients following discharge from hospital, as our outpatient continue to attend the bi-monthly Burns Clinic and we also have a patient support group in place. 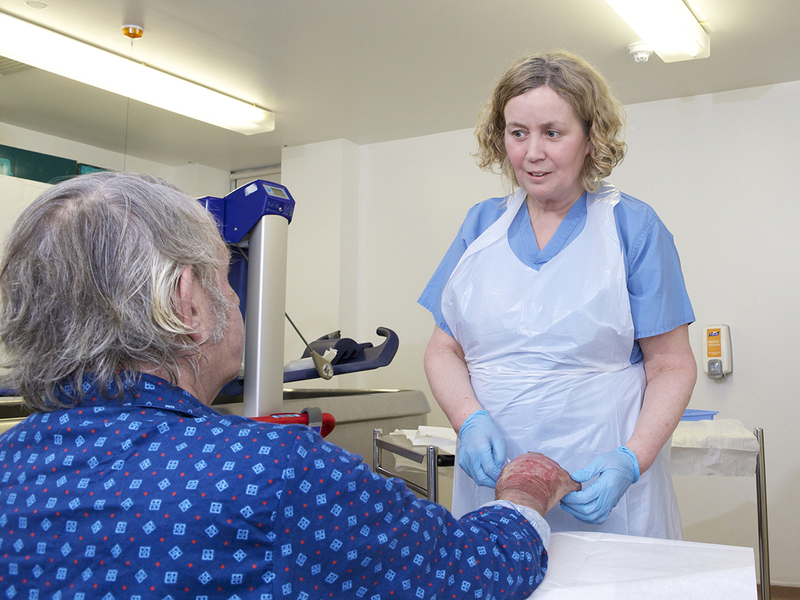 The National Burns Unit has a team of specialist plastic surgeons, burns nurses, physiotherapists, clinical nutritionists, occupational therapists, psychologists, social workers and microbiologists who are working together with an emphasis on patients’ functional restoration. Anyone can get a burn – and it is a truly devastating and an awful experience for people. We care for our patients and we want to provide a state of the art facility that will enable the most advanced care available – that will return patients’ lives to them again and that will restore their future aspirations that will provide inspiration to others. 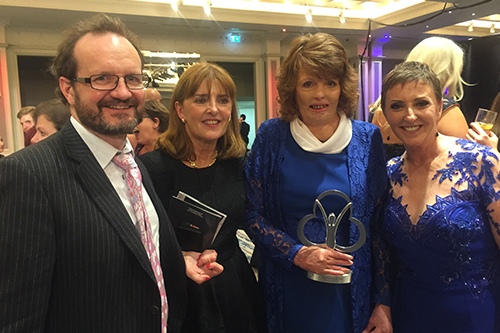 National Burns Unit patient, Joanne Mc Mahon, wins Pride of Ireland award. Patients are admitted following house-fires, construction accidents, firework injuries and other traumatic incidents with burns ranging from 1% to 90% of their entire body skin. In the worst cases, this percentage coverage can be even higher. Due to the nature of these injuries, burn patients are inevitably long-stay patients, staying on average for two weeks but often longer. The burn rehabilitation is a complex and protracted process for the burn survivor and for his/her family and the entire treatment team at the unit. Often multiple surgical procedures are implemented in stages and intensive dressing regimes and non-operative treatments are implemented over time. Therefore the patient has a long engagement with the hospital and our teams and it is important that their recovery and treatment takes place in a supportive environment with the best equipment to work towards their recovery. Planned changes to the National Burns Unit’s physical infrastructure alongside new and additional equipment are in place to improve care for patients. Infrastructural changes will include, for the first time, private facilities for discussions with patients and families, psychotherapy and physical therapy assessments and rehabilitation – emphasising respect and optimal care for our patients. The new equipment proposed will facilitate better treatment planning, optimise surgical treatment and outcomes, and optimise rehabilitation and reintegration into the community. Within the Burns Theatre, there is a need for a general refurbishment and new equipment. This would include an ultrasound device to facilitate access to veins that are swollen and burned, a machine that will calculate real-time changes in patients’ blook clotting and risk of bleeding during surgery. The Theatre also needs additional instruments to facilitate grafting. The staff of the unit aim at all times to optimise patient care. One way of doing this is to provide upgraded bedside information systems, with each monitor providing instant information regarding the entire patient’s interaction with the hospital including test results. The environment for patients must also be positive and encouraging during their period of recovery and then through to rehabilitation. The role of the occupational therapy services at the National Burns Unit is to facilitate burn-injured patients to optimise upper limb functional rehabilitation, to manage burn scars and to assist patients on the re-integration to home and community. In particular, our therapists work with patients on self-care tasks and feeding once admitted and then continue with daily review of progress and treatment modification as required, until discharge. Further treatment is then available through the out-patient clinic. Michelle O’Donnell, occupational therapists explains that a designated rehab area, which includes a kitchen and upper limb treatment area would be of tremendous benefit to patients. This would allow patients to continue with their rehabilitation and promote function independence outside of therapy time. I want the transition from hospital to community to be as seamless as possible by providing outreach support to the home, and by providing support and education to local therapists. St James’s Hospital has plans in place to invest in the unit, and the team there are working towards their goal to raise €300,000.